This year marks 20 years of WWWX (96.9 The Fox)/Appleton-Oshkosh, WI in the Fox Valley! 96.9 The Fox celebrated its 20th Birthday Bash with Friday Pilots Club at Fletch’s Local Tap House in Oshkosh, WI, on March 30th. The station had tons of gifts for listeners, including autographed artist merch, concert tickets, tickets to local events, and a trip to see in lovelytheband in Nashville. Pictured; (Back Row, l-r) WWWX OM/PD Dayton Kane, Friday Pilots Club's Caleb, WWWX Promotions Manager David Wettroth, Photographer Casey Nelson, Intern Brandon; (Middle Row, l-r) Receptionist Scarlett Shapiro, FPC's Drew, Intern Rachel; (Kneeling) Promotions goddess Greycin and WWWX afternoon host Max. WXDX (105.9 The X)/Pittsburgh PD John Moschitta and AMPLIFY's William Marion gave The Interrupters everything backstage on March 28th. 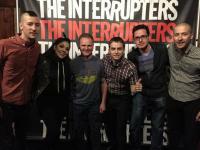 Pictured; (l-r) The Interrupters' Jesse Bivona, Aimee Interrupter, WXDX's John Moschitta, The Interrupters' Kevin Bivona, AMPLIFY's William Marion, and the band's Justin Bivona. 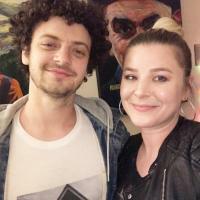 Grandson with KVIL (ALT 103.7)/Dallas MD Lindsey Martin before his No Apologies Tour stop in Dallas on March 27th. When MUSE rolled through Miami on their Simulation Theory World Tour on March 24th, WSFS (104.3 The Shark)/Miami MD/PM-driver Will Althoff (c) was peppering Matt Bellamy with questions while they’re trying to take photos. Entercom/Miami Events and Promotions Coordinator Lesly Montes (2nd from left) was a bit distracted too. The Interrupters gave WLKK Alternative Buffalo 107.7|104.7 everything on March 24th. 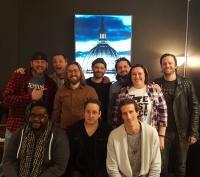 Pictured with The Interrupters in the back row are WLKK weekender Kennedy, AMPLIfY's William Marion, WLKK night jock Axe, and in the front row is WLKK MD/morning host Emily Wild (second from right). WEQX/Albany, NY MD/night-timer Luke Gelheiser (c) loved seeing Chai at SXSW. The girls released their second album, PUNK on March 15th. WWWX (96.9 The Fox)/Appleton-Oshkosh, WI hosted a Fox Sessions with Max Frost on St. Patrick’s Day. 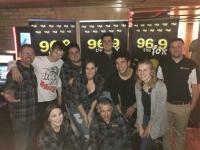 96.9 The Fox PD Dayton Kane (kneeling, far left) said, "The crowd loved his 4 song acoustic set and meet and greet afterwards. Then Max hung around for a drink and some darts. 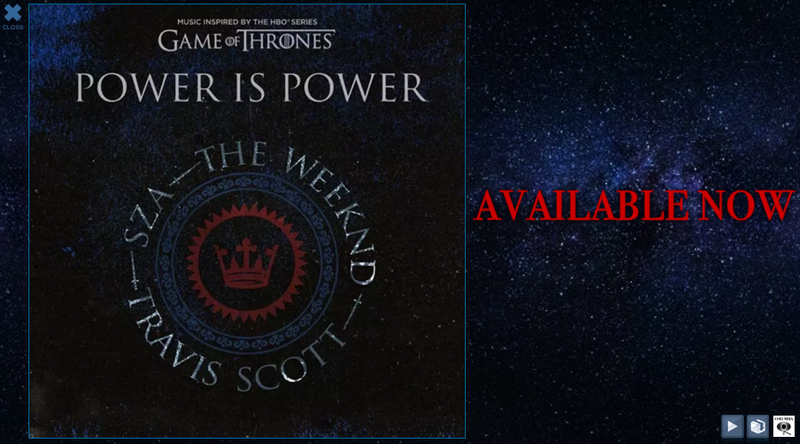 Perfect way to drown out our “'Money Problems.'" 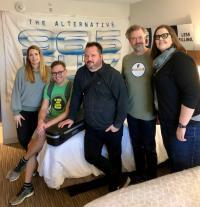 Matt Pryor from The Get Up Kids stopped by KRBZ (96.5 The Buzz)/Kansas City APD/MD Jeriney's hotel room at SXSW to catch up and play a new tune from the band's forthcoming album, Problems. 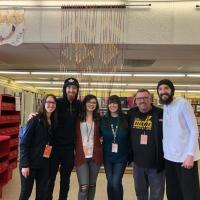 Pictured; (l-r) TGUK's Manager Kristen Worden Harris, Polyvinyl's Rob Wilcox, TGUK's Matt Pryor, Hardboiled's Chris Stowers, and KRBZ's Jeriney. 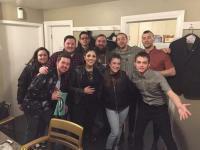 WSUN (97X)/Tampa PD Jenna Kesneck (2nd from right) and on-air personality Sam (2nd from left) with I Dont Know How But They Found Me who performed for an exclusive audience in the 97X Green Room on March 15th. 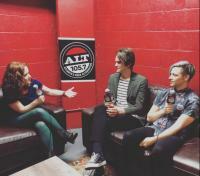 WRDA (ALT 105.7)/Atlanta APD/MD Wendy Rollins interviews the dudes from I Dont Know How But They Found Me backstage at Vinyl on March 13th. I Dont Know How But They Found Me were captured in action at WSFS (104.3 The Shark)/Miami's Bonfire Session at Margaritaville on Hollywood Beach on March 13th. 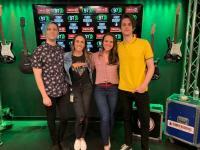 Pictured are; IDKhow's Dallon Weekes, WSFS MD/afternooner Will Althoff, IDKhow's Ryan Seaman, and WSFS On The Horizon specialty show host Gaby. 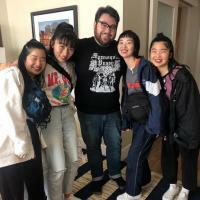 KYSR (ALT 98.7)/Los Angeles had Karen O, St. Vincent, Lykke Li, K. Flay, Donna Missal and Meg Myers play its iHeartRadio Women Who Rock Concert in the iHeartRadio Theater in Burbank, celebrating International Women’s Day with stripped down performances on March 8th. 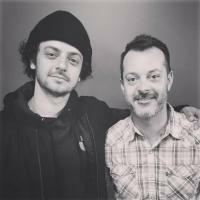 Meg Myers played her new single "Running Up That Hill" which impacts 3/19. Pictured are; (l-r) 300 SVP/Promotion Aimie Vaughan, Red Light Management West Coast Radio Promotion Carlyn Kessler, Meg Myers, and iHeartMedia Alternative Rock Brand Manager & KYSR (ALT 98.7) PD Lisa Worden. "It was a truly special evening. To have all 6 of these women on one stage – wow wow! !," said Worden. 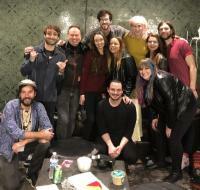 WRIS (106.7 The Resistance)/Madison APD Miranda Daniels (second from right) and her husband backstage with The Revivalists on March 8th. The Revivalists also played basketball with listeners too. 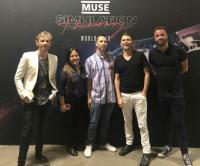 KKDO (ALT 94.7)/Sacramento APD Andy Hawk (second from left) hangs with MUSE March 7th on the Sacramento stop of The MUSE Simulation Theory Tour.